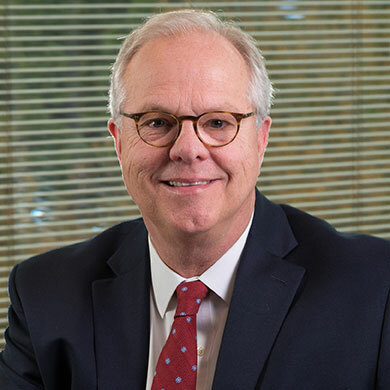 As a senior vice president for Coker Group, Randy Gott provides medical staff planning and related assistance, physician compensation plan development, and fair market value/commercial reasonableness assessment and consulting services for a broad spectrum of healthcare clients nationally. His particular interests are in medical staff and physician/provider development that support an organization’s mission and strategy. He works with organizations in physician recruitment and manpower development areas involving physician needs assessments and implementation strategies that include physician recruitment policy development and assessing organizational priorities and practices. With more than 20 years of experience in healthcare, Mr. Gott’s expertise in physician manpower, compensation, and incentive plan design have benefited many organizations across the country. Additionally, Mr. Gott serves as an expert witness on issues surrounding physician compensation and physician manpower needs. He has served as an expert to a major law firm in a lawsuit against a hospital prosecuted by the Department of Justice on charges that the hospital violated federal anti-kickback laws related to physician recruitment arrangements on behalf of existing medical practices (United States of America v. Barry Weinbaum, Tenet Health System Hospitals Inc., Alvarado Hospital Medical Center, Inc.). The case focused attention on the legality of practices that hospitals commonly use to provide physician recruitment assistance to recruited physicians and affiliated medical practices. Created medical staff plans for organizations seeking to provide documentation for physician recruitment strategies, including assessments and audits of recruitment strategies, and practices and policies. Developed recruitment policy to assist in the overall compliance of physician and provider recruitment. Developed physician compensation and incentive strategies to support organizational mission and values as well as provide opinions regarding the commercial reasonableness and FMV of physician compensation plans for employed and affiliated physicians. Provided expert witness guidance on physician manpower and physician compensation-related issues.